Build and protect wealth, realize dreams and transform the lives of the people you love. We use sophisticated and creative planning techniques to help our clients reduce taxes, preserve wealth, and meet their personal, family, and business goals. With prior experience as a partner of a large regional law firm and as a CPA, Peggy K. Gardner concentrates her legal practice on complex estate planning,estate administration, taxation, business succession planning, charitable giving, and the full range of wealth preservation strategies for high net worth clients. She is a Super Lawyer and a fellow in the American College of Trust and Estate Counsel. Julie draws on her experience working on complex corporate finance transactions and venture capital fund formations to assist clients with their estate planning, estate administration and business needs. We represent diverse clients including business owners, corporate executives, farmers and ranchers, physicians, lawyers, and other professionals. 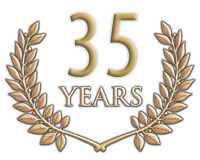 We have practiced law for over 43 years collectively and maintain an AV Preeminent rating with Martindale-Hubbell. Peggy has been my attorney for many years. Her expertise helped my husband and me efficiently navigate the documents and procedures required for our estate planning. She was patient and understanding, answering our many questions and simplifying the process for us. After my husband passed away she was indispensable in leading me through the estate administration process. Peggy is not only extremely knowledgeable and professional, but compassionate and caring. I continue to value her input and direction. Peggy has handled multiple complex matters for me with great attention to detail and thorough analysis. She exhibits excellent judgment, a keen ability to see the pivotal issues and salient facts, persuasiveness, and exquisite diplomacy in dealing with delicate situations and difficult people She is charming and easy to talk to. Copyright © 2019 Gardner Law, P.C.